Due to a lack of fixed connectivity services, Mali’s population of 17 million has seen a strong growth in mobile uptake over the years. 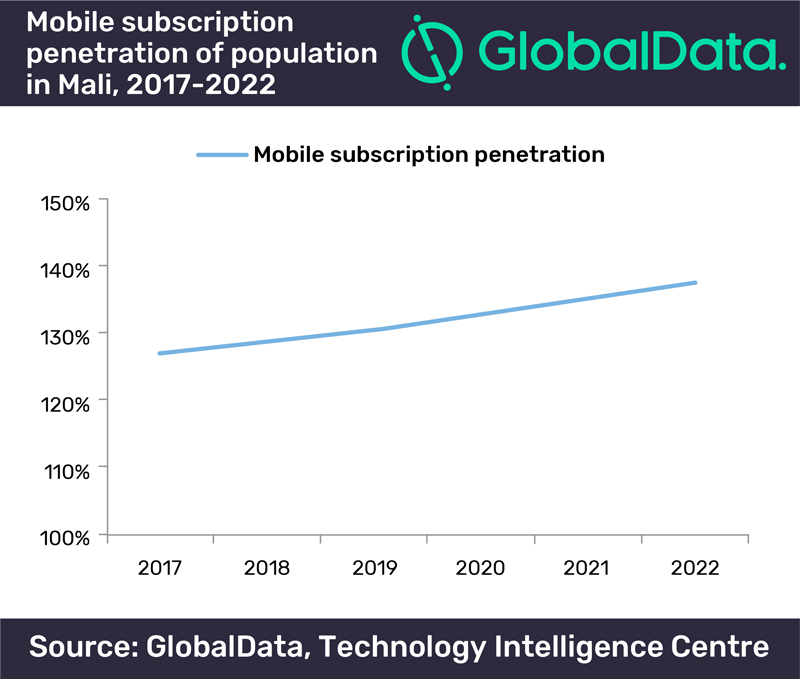 Alpha Telecom’s long-awaited launch as the third mobile operator in Mali, under the brand Telecel, means that mobile subscriber penetration in Mali is expected to reach 138% in 2022, up from 127% in 2017, according to GlobalData, a data and analytics company. Previously there have been two mobile operators in Mali: Orange Mali, part of the French Orange Group, and Malitel, part-owned by Marco Telecom and Malian government. At the end of December 2017, Alpha Telecom finally launched Telecel. Despite receiving a mobile license as far back as February 2013, Telecel had not managed to launch services until now. Over the years, it faced financing, infrastructure, and legal delays. With network equipment built by Huawei, Telecel plans to offer 3G services, first in Bamako, then gradually rolling out across Mali. Telecel will be inserting fresh competition into the current duopoly between Orange Mali and Malitel.